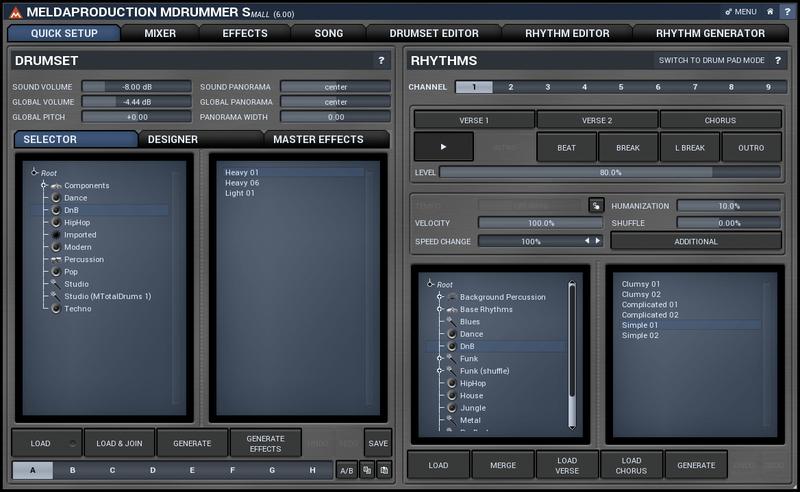 Melda Production has loads of freeware and MDrummer Small is, not surprisingly, a free version of the company’s MDrummer Large. Nevertheless, it’s quite a substantial product and download itself. It comes with 500MB of sounds and data, which includes 30+ drumsets, 400+ drumset components, 200+ samples, 50+ multisamples, 60+ rhythms, 200+ base-rhythms and 2,500+ loops. There’s an onboard arranger/sequencer and effects, plus loads of hands-on controls for creating varied machine or human-like beats. It’s a pretty special plugin that we erroneously (sorry! – Ed) previously reported as PC only – in fact it’s been available for Mac for years. 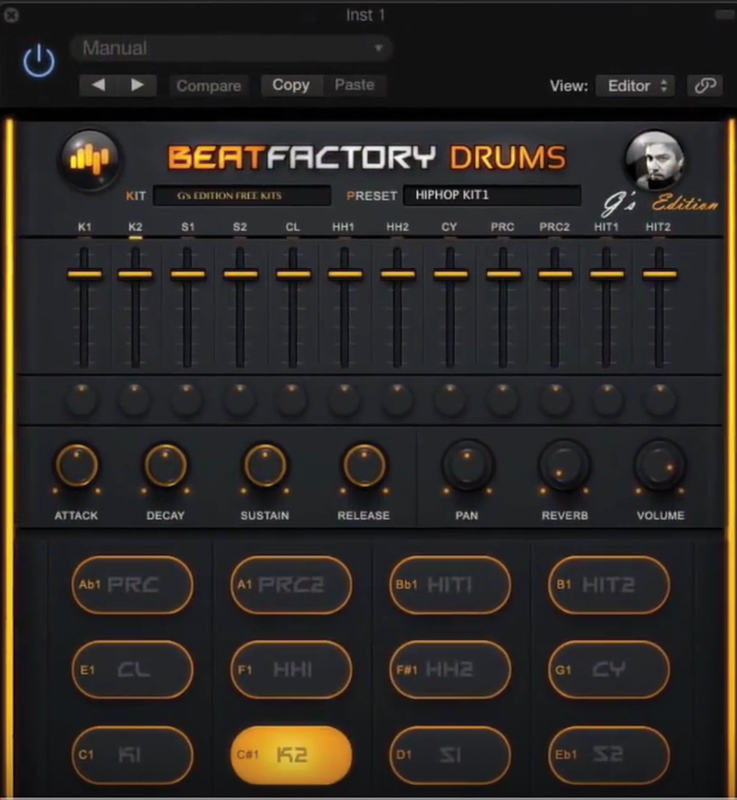 It’s one of our favourite freeware drum machines. When we first published this article, our TR-909 emulator of choice was the Monade Sounds Mini909. With a simple, easy-to-use interface, it filled the 909 gap in our lives, performing extremely well considering it’s unbeatable price tag. However, Monade Sounds is sadly no longer with us, and as such no longer allows you to download the Mini909. Enter MaxSynths with the DR-910. Boasting some additional features not found on the hardware version, which include a reverb unit with independent send controls for each sound source, a compressor tailored to work with drum sounds (based on the same engine of MaxSynths DSP-1) and a Lo-Fi FX processor. The signal can also be processed using external effects using the 4 stereo outputs that can be independently processed in your DAW. You can download this in return for your email address (and a voluntary donation) and what you get is a drum-pad player loaded with RX5 kits plus instruments, including DX bass, ethnic and synth. Usefully, you get Standard, Vinyl, Sub and Tremolo effects to add which can really vary the sound. As to the core sounds, we weren’t convinced that this was the classic drumkit we needed until the developers SampleScience reminded us that Cocteau Twins, Bomb The Bass, Masters At Work, OMD, Vangelis, Depeche Mode, and The Pet Shop Boys all made rather good use of it. So an absolute bargain, after all! It’s fair to say that a lot of the free drum plug-ins here could well be player shells that you pay extra to get sound packs for. This one might well follow along those lines, but does come with 10 kits (808, Trap, 80s, Dubstep, Indian and Sample kits, among others) to start with. Each pad can be edited and an envelope shape applied to the list: plus there’s a useful reverb effect. One of the big selling points of the plug-in – yes, we know you don’t actually buy it – is that it was recorded using an MPC through some pretty high-end outboard gear and the results do sound good: one of the best freeware drum machines snappy and contemporary and ideal for a slew of polished genres, including hip-hop, trap and EDM. One that could have gone in the synth section, as the results are more than percussion! Kick synths are all the rage, not only in software (with lots of paid- for apps), but hardware, too, like Korg’s Volca Kick. 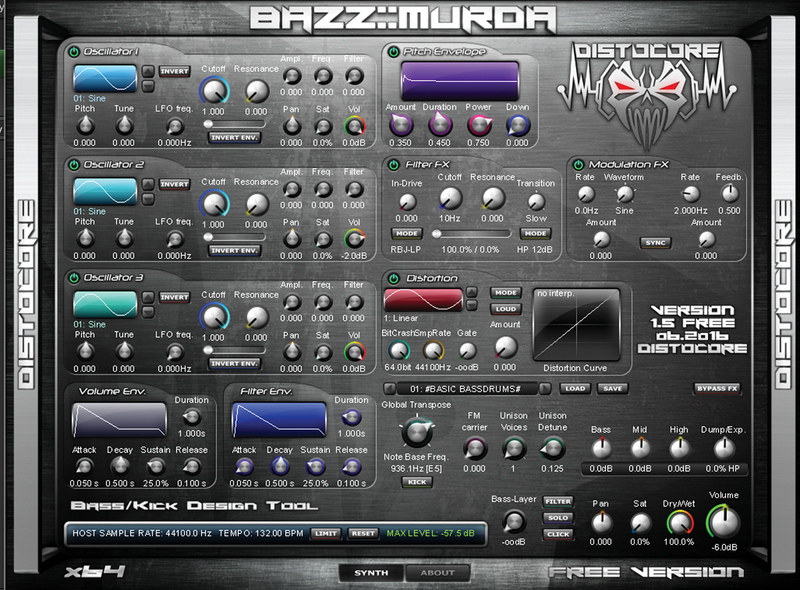 Bazz Murda is a cut-down piece of kick-synth freeware, but there’s still a lot left in terms of control. This is a full-featured synth dedicated to hard kicks for the harder side of dance, and it doesn’t disappoint. Those after something with less bite might be shocked at the attitude that this plug-in is capable of reaching – pop producers look away now, as this is strictly for dubstep, gabber, drum ’n’ bass. For kicks with added extras, and plenty of them. 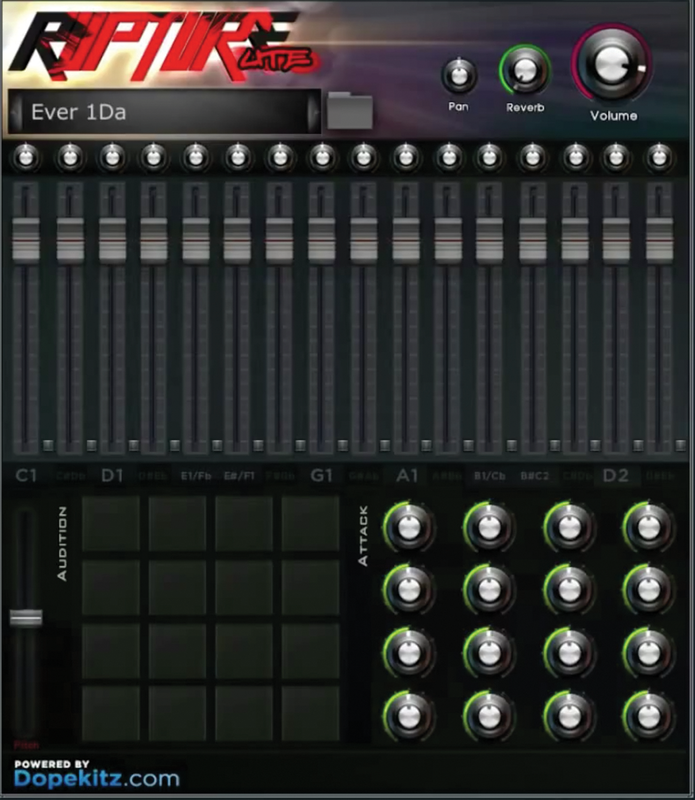 Finally – something light on your processor and easy to use, a 16-part drum machine and sample player. DopeKitz’s Rupture comes with five kits – West Coast, Tribeca, Ever 1da, Crunk’d and Danger Drumz – so enough to get your teeth into. Yes, there are more expansion packs available for your money, but these will show off the flexibility of Rupture. With sliders, pads and Attack rotaries, there’s enough here to give your beats an edge. You can create and mix kits, too, and pitch the whole lot up and down. 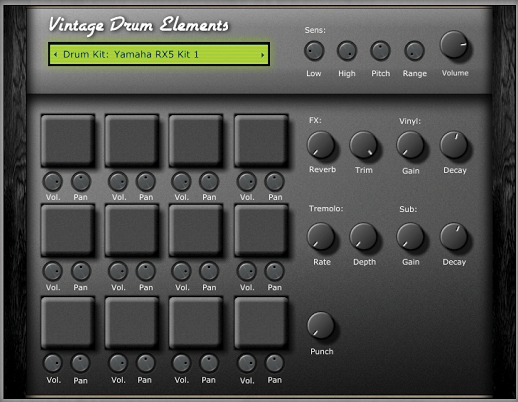 One of the most useful freeware drum machines that is both simple and effective. Previous articleShure KSM8 Dualdyne Vocal Microphone Review – A New Icon?